Last week you may recall seeing a post about Transplant Australia members, Bradley Stanley and Deakin Tran, heading to Switzerland to join the Tackers Camp. We invited both families to send back updates for our blog so that we could all share their journey. Deakin Tran at St Pierre Cathedral. We wake up at 4am, still on Perth time and have breakfast early because we are starving! 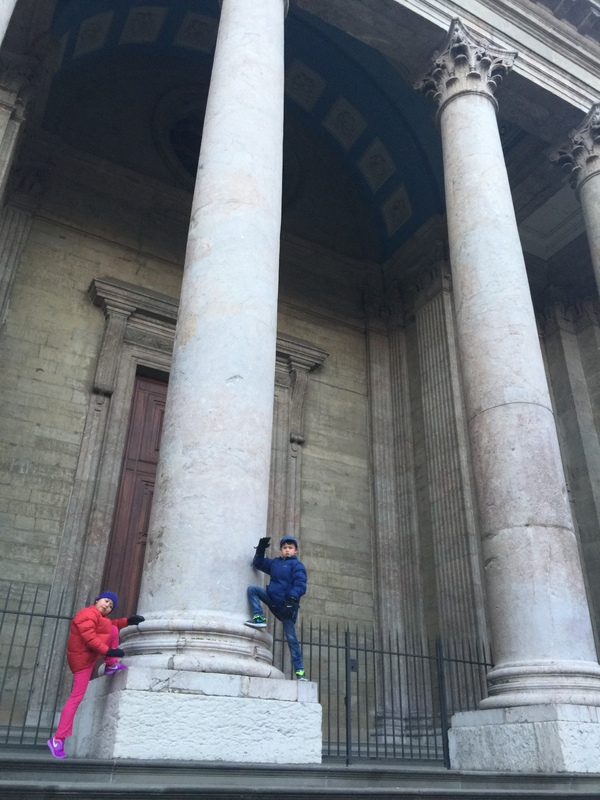 Next, we go exploring Geneva and visit the St Pierre Cathedral. A spot of shopping, then take in the UN headquarters, the WHO and the Red Cross with commentary from an informative taxi driver. We met the tackers crew at the airport before starting the journey to Anzere. We took a 3hour train ride. Kids are going nuts with excitement and friendships are made instantly. At first Deakin was nervous about going off without mum and dad. He was in tears on the train. After the train ride to Sion we boarded a bus and travelled through the mountains to Anzere. Upon arrival the kids were quickly escorted away from mums and dads, to the cabins where they are chaperoned by counsellors. Much to mum and dad’s surprise, Deakin jumped off the bus without hesitation, followed the other kids and didn’t even look back. Woke up at 4am still on Perth time. Got ready for our first day of skiing. Wasn’t sure where to go so we didn’t get up to the mountain till about 10.30am. It was magnificent weather today in Anzere, apparently 6 degrees is warm. The cable car ride up to the mountain was definitely an experience. Deakin and the kids arrived all ready and kitted up shortly after with Tackers jackets, skis and boots. All the kids looked awesome and they were so easy to spot in the snow. 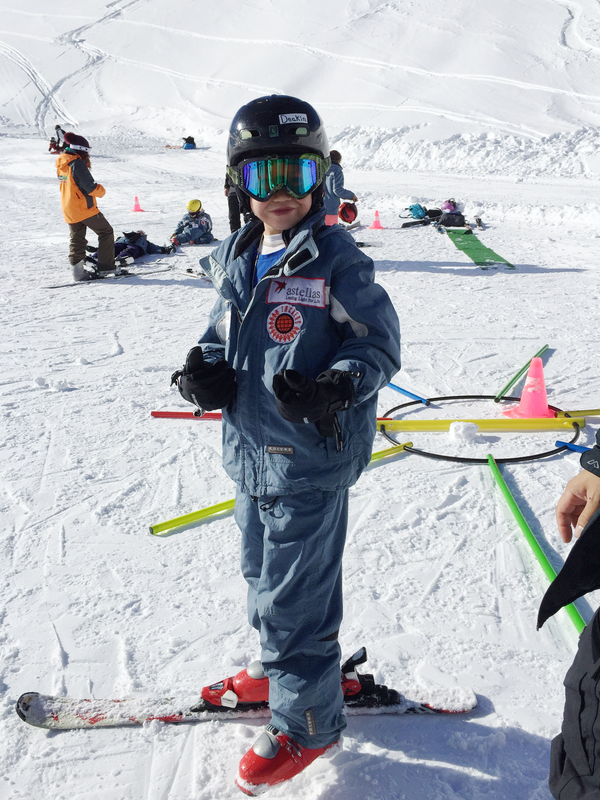 They went straight into ski school with keen, energetic and patient ski instructors. Kids picked it up so quickly. By the end of the week they are going to be flying down the mountain. Had lunch of a soup and a sandwich. Deakin’s favourite part of the day was definitely being on the mountain 2300m above sea level. Deakin ready to conquer the mountain.